This entry was posted in Denmark Denmark Immigration and tagged Danish Green Card Denmark Immigration denmark work permit Denmark Work Visa Migrate to Denmark move to denmark work in Denmark on August 18, 2014 by Blog Author. Denmark stands top among the other dynamic EU nations in trying to employ number of skilled employees from all over the world. People aim to move to Denmark because of its balanced family and work life along with outstanding business environment and well-organized state. 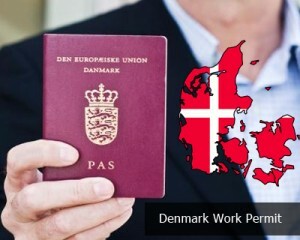 Foreign nationals need to have a Denmark Work Permit and residence permit in order to reside and work in Denmark. The government of Denmark has designed several plans to make it easier for foreign skilled professionals to obtain Denmark Work Permit and residence permit. The majority of overseas citizens don’t require work visas to reside and work in Denmark, while some nationals require residence permit and Denmark Work Permit. The basic requirements to obtain Denmark Work visa primarily depends on the individuals’ nationality and qualifications. However, Danish government has structured special schemes or plans that offer both residence permit and work permit to stay and work in Denmark. This is a point based system that makes it feasible for highly skilled experts to move to Denmark to seek employment and work in Denmark. This scheme need not require a job offer in prior to the visa application. This scheme has a list of professions, which are presently facing scarcity of skilled professionals. Individuals with a valid job offer in any if these occupations with qualifications can access to Danish labor market. This scheme is for individuals with job offer whose yearly income is above a certain limit especially for easy entrance in to the Danish labor market. This scheme permits workers from a firm outside Denmark to be moved to the Danish subsidiary, sister or parent firm or similar for a certain period of time. However, for it is mandatory to have a valid job offer to obtain a Denmark work permit. The Denmark work permit processing time can’t be specified exactly. It changes from person to person. The processing time is frequently depends on the candidates profile. Danish green card is one among the Denmark work permit schemes with a point based system. Here, points are awarded on the various aspects such as age, adaptability, language skills, work experience and education. Applicants need to score a minimum of 100 points to obtain residence permit and work permit in Denmark in order to live and work in Denmark. If you want to get this visa, please fill out MoreVisas Enquiry Form, and you can also Follow us @ Facebook, Google+,LinkedIn. ← How to Acquire Australian Skilled Independent Visa – Subclass 189?